Our spring is going by faster than I expected. I felt like time dragged on from when we moved here until the end of the year, but it has flown by since January. Probably because we are more established here now and are busy with activities. Between my job, church activities, Kinsie’s school, soccer, and playdates….we stay pretty busy which I love! Ryan is on his MICU rotation (Medical Intensive Care Unit) at the VA, and saying it has been rough would be an understatement. Most of his shifts are from 6am-7pm. He worked a week of 12 hour night shifts, and the rest of his shifts are from 6am-4pm. However…the time he is supposed to get off rarely actually happens. Most of the time he gets home right before the kids go to bed. I usually let them stay up a little later so they can spend time with him. So needless to say, I’ve been solo parenting for a large majority of this month. It has been pretty hard, but I’m honestly glad that we’re going through it near the end of our first year rather than at the beginning. I have gotten used to caring for the kids alone, so I can handle not having help better than I used to. Now when he works a lot, I honestly just miss his company more than anything. Even with this crazy month, we still managed to have some good family moments! As I mentioned in my previous post, my family came to visit for Easter weekend, which we loved! We had a great time and the kids had a blast with their cousins. They had to leave on Easter Day after church and brunch, but we still had a great Easter and the kids loved church and their surprises from the Easter bunny. Ever since we moved here, the library has been one of our favorite spots. They have a program called 1,000 Books Before Kindergarten…which is pretty self explanatory. I thought Kinsie could for SURE do that…she loves to read! The library was closed from November through March for renovations, so we couldn’t go there for a while to turn in her sheets and get her stickers. However, she reached 1,000 right in time when the library reopened. She loved getting her 1,000 sticker and her free book. Brax was a proud brother too! This month, the second year residents had a weekend retreat, and I mainly hang out with the wives of the second years (none of the first years have kids). Since all of their husbands would be gone, they planned a dinner/playdate, and since Ryan was working late that night, the kids and I came too. We had a great time talking, eating tacos, and chasing our kids. We did manage to get a group picture of most of the kids. Between 4 of us, we have 11 kids, and one of the way (don’t get excited…its not me!) I am SO grateful for these families…they have been crucial to my sanity since moving here! We’ve had a lot of rainy April days, but we’ve also had a lot of beautiful sunny days too. When Kinsie is at school, Brax and I often walk to the park and spend the morning there. I try to bring Kinsie too on her days off. Lately both kids love picking flowers on the walk home. We also love just hanging out in our own front or backyard. They could do sidewalk chalk and bubbles for hours! We’ve also tried to grill out and eat dinner outside whenever we can too. We’re trying to enjoy it as much as we can before the unbearable heat arrives. I’ve always loved Disney on Ice. But then again, I love anything Disney. My kids do too. That’s why when I saw that Disney on Ice was coming to Little Rock, I REALLY wanted to make it happen. When I found out that it fell on the same month as Ryan’s busiest rotation, I was bummed…but I still wanted to find a way to make it work. Since it fell on the same week as his night shifts, we basically had just one option…the Saturday at 3pm show. That way Ryan could still sleep during the day, then wake up in time for the show, then head to work afterwards. I knew Brax would miss his nap that day, but we really wanted Ryan to get to come with us, so we knew it’d be worth it. It was such a fun afternoon. The kids LOVED it. 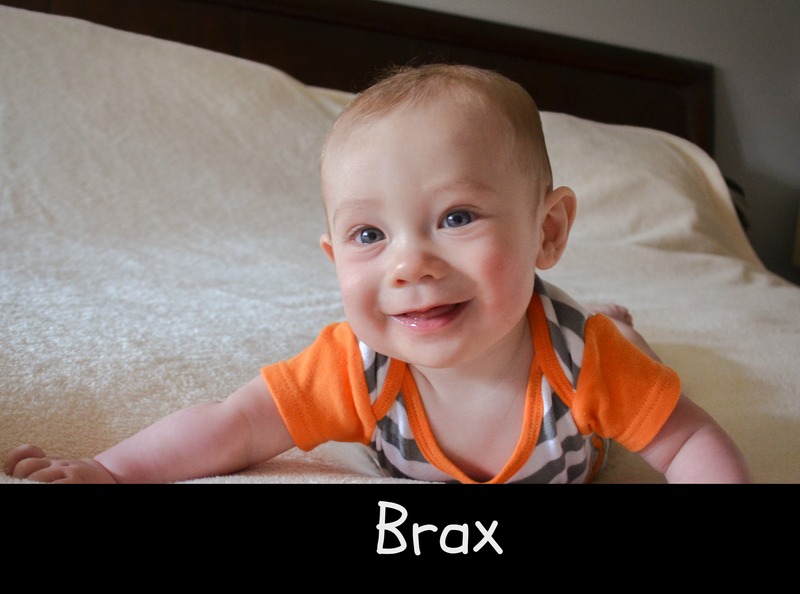 Brax was super squirmy and slap happy since he skipped his nap, but he was happy and still had a lot of fun. He mainly liked the parts with Mickey Mouse, and Kinsie says she loved it all! I am so glad Ryan was able to come with us and we had a fun family date. We’ve been aching to go fishing, but haven’t found many opportunities with Ryan’s busy schedule. He gets very few days off, so on those days we try to find something fun to do. On one of his days off, we were determined to fish. Even though it lightly rained on us most of the time, we didn’t let that stop us. Kinsie recently got a new princess fishing pole, and Brax inherited Kinsie’s old Ninja Turtles pole, so the kids were excited too. Brax practiced with a pretend fish, and had fun with just that. Between the four of us, we only caught one fish, but that one fish brought quite a bit excitement! Since I’ve known for a while that this would be a tough month and Ryan would barely be around, I’ve been recruiting family to come visit us. Megan and Tim were up to the task! I always tell them they are “winning” at visits here. They are best at knowing when I’m aching for family the most, so they work their schedules to make it happen. We had a wonderful weekend with him with perfect weather. Unfortunately Ryan wasn’t around much to spend time with them, but I was very grateful for the company, and so were the kids. We absolutely love it when they visit! It’s been a tough, but busy month. We’ve still managed to have quality family time despite the limited time we have all together. We just use the short moments we do have together wisely…even if that’s just the kids climbing on and wrestling with their daddy. We are definitely all ready for him to be on a normal rotation again. 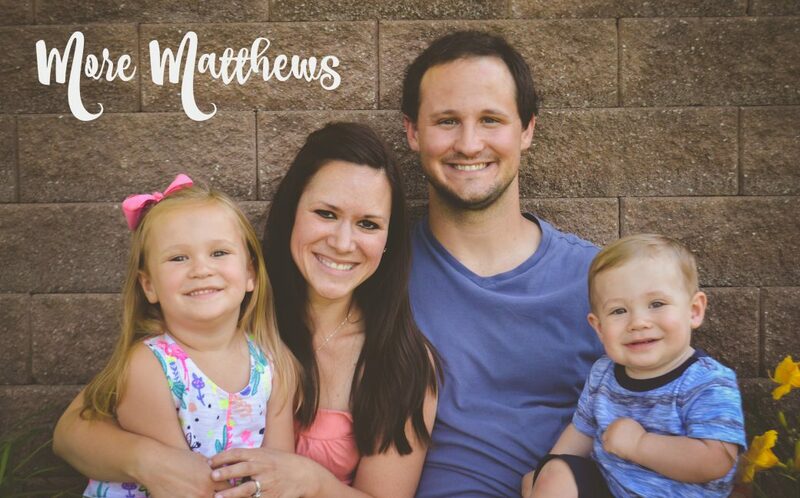 The next few months have a lot going on…my baby boy turns 2, we have a few trips planned, and of course there’s always fun things to do during the summer! Last but not least, here is our 1 Second Everyday video for April. Enjoy! No, this post isn’t about the NCAA basketball tournament…just the chaos and crazy, or “madness” if you will, of our ever day lives…and I wouldn’t have it any other way! March went by way too fast because we stayed busy! Here were our favorite moments of March. The warm weather in Arkansas is pretty much here to stay! While it may be chilly in the mornings and evenings, most days it gets up to the high 60s or low 70s. The kids have been LOVING it. We’ve played in the yard a lot, had picnics, and explored some new parks. I already posted about our Colorado vacation, but this was definitely a major highlight of our month. We had the best vacation with Ryan’s whole family in Colorado Springs in mid-March. We did so many fun activities and always had an amazing view of the mountains. We definitely want to make it back to Colorado again someday. My kids definitely like to explore and go places every so often, but overall they are homebodies like me, and love to just play at home. Ryan was on his OB rotation this month, so he worked long hours at night, so the kids and I had a lot of quality time just the 3 of us. I always try to document the random little moments where the kids do something sweet or unique…especially when the kids are getting along so well without me coordinating it. Kinsie will “read” books to Brax, or Brax will line up all his cards to make a long “choo-choo,” or the kids will snuggle extra close to me when they are scared of a thunderstorm. I try to savor these moments because I know they won’t last forever! Ryan and I hiked Pinnacle Mountain when we came to visit Arkansas before he made his rank list last year. It was a great hike with a beautiful view, and we’ve been wanting to take the kids ever since. We finally got the opportunity, and we had a great time! Kinsie was an absolute CHAMP and hiked the whole thing by herself. Brax rode in the hiking backpack and was not happy about it at first…he wanted to do it himself too! He eventually gave up and just had fun riding in the backpack with his Daddy. The kids loved the view and they didn’t want to leave the top of the mountain! Wagon rides, playing at the rock park, dressing up as princesses…cousin time doesn’t get much better than that! We loved getting to spend time with both of our families this month. It always fills our buckets when we get to see family. We have adjusted to living here, and finally are starting to feel more established, but being away from family is still by far the hardest part, and I don’t know if I’ll ever completely get used to it. That’s why we savor our moments we do have with them. Still, we are really enjoying living here, and when I see pictures and videos of my kids, I truly feel that they are happy, and that’s what matters most. Here is our “One Second Everyday” video for March…enjoy! Wow…we had SO much happening in the month of May. It seemed to fly by, but then again, it seems like the beginning of the month was a year ago. We had lots of fun, and were also very busy this month, so brace yourself for pictures galore! Brax turned one on May 2, and while we already had his Lumberjack party a few days earlier, we still had to do something for our boy’s special day. He received an Orange Leaf gift card as one of his birthday gifts, so we took him for his first frozen yogurt experience. He loved it, and of course, Kinsie didn’t mind it either! Any fans of the show “Friends” out there? Well just like Joey and Janice, Kinsie and I had a special day together this month. Her school had a Mother’s Day Lunch on a Friday morning, so I took the morning off to go with her. We had a great lunch together at her school, then I had to get ready to leave and head to work. Her brown eyes had big ol’ crocodile tears in them when I told her I had to leave…so I thought about it, and since it was nearing the end of the school year (my students checked out LONG before this anyway), and the rest of the afternoon at school was our PTO Walk-a-thon, I thought, what the heck, I’ll bring her along! We had a great day together! She loved playing on the playground, silent reading time, and being my little helper at school. My students LOVED having her there, and they were great with her. It was a much-needed Mommy and Kinsie day. It’s official…he’s a doctor now! After 4 very long years of medical school, my husband is now an MD. Two years of living in different cities with a newborn baby, two years of countless rotations with long and crazy hours, throwing another baby in the mix and surviving on a teacher’s salary…and we made it! I know we still have a long road ahead as he starts his residency, but we have come so far. We did it as a team, and that’s how we will continue our journey. This usually happens WAY sooner, but it has been a crazy April and May. Lots and lots and lots of rain and below 50 degree temps. But a few weeks into May, we finally got these kids in the pool! Kinsie did her happy dance all around the pool, and Brax splashed and giggled and did his happy shout the whole time! Ahh, the lake. Our favorite. Our happy place. We have spent two weekends at the lake this month…we are trying to soak in as much lake time as we can before we move. We spent all of Mother’s Day there, and Memorial Day weekend. We have our staple activities that we always do while we visit…including lots of fishing, golf cart rides to the playground at the Marina, and lots of boat rides. This last trip even including Brax’s first time on the paddle boat, and both kids took turns driving the boat. Both of the kids (and the adults) are SO happy while we are at the lake. We all drag our feet when it’s time to leave and head back home. It really is all of our happy place. We haven’t had quite as much outside time as you would think for the month of May, but the few times it has been nice enough, we try to get the kids outside. Even if we don’t want to, they drag us out. They have enjoyed wagon rides, playing t-ball, family bike rides, and running around in the backyard finding frogs and other critters. Kinsie loved her soccer season! She absolutely loved playing with her cousins, and getting a snack ticket after every game. She improved SO much this season. She became more competitive and aggressive…all she needs is a little bit of speed and she’ll be a soccer star! Whether it was raining, freezing, windy, or sunny (I think this only happened twice), the kids were troopers and had a great season. They always had a great fan club too! Within one week, Kinsie had her last gymnastics class, her last soccer game and her last day of preschool. All of these lasts weren’t just for the season, but her last doing all of these things in our current home of Indiana. She had such great experiences for all of these things, especially her preschool. We were so sad for her to leave this school, we really loved it there. She loved her teachers and her friends, but she is very open-minded about finding a new preschool and new friends (we’re hoping her optimism rubs off on her mama a bit). We were so lucky that she had all of these great opportunities to help her learn and grow, and we know we will get other fun opportunities in our new home. Last week was a tough one, because I had to say goodbye to a job that I love. I packed up my classroom, turned in my keys, and said “see you later” to some amazing fellow teachers that have become my best friends. I taught in this community for 5 years, and while it often completely drained me, it was so fulfilling. Even though I won’t be teaching at this school anymore, I feel in my heart that my teaching career is far from over. That just about wraps up our month. It was busy, crazy, exhausting, but amazing. We are counting down the days to our big move, which is happening in a couple of weeks. While we can barely walk through our house because of moving boxes everywhere, we are still trying to relax, soak it all in and enjoy our time with our families and friends before we pick up and move our lives to Little Rock. We are loving Kinsie’s soccer season. It has been very odd weather on game days…either freezing or pouring down rain, and ONE nice Saturday so far! Kinsie loves playing with her cousins and she continues to get better every week! Easter weekend is one of my all-time favorite weekends of the year. I love spending time with family and doing Easter egg hunts with the kids, but I mostly love what Easter represents. As Kinsie gets older each year, I try to teach her a little more of the details about why we celebrate Easter (and Christmas). Last year, she knew that we celebrated Easter because “Jesus Loves us.” This year I took it a step further and taught her that we celebrate Easter because “Jesus died and came back to life.” She understood this, and seemed amazed by it…so I accomplished my goal! We had an amazing weekend including time at Ryan’s aunt’s house with all his aunts, uncles and cousins, Sunday Easter service, an Easter bunny visit, multiple Easter egg hunts, and time with all the people we love. One of the highlights of my school year is our annual trip to Bradford Woods with the entire 5th grade. This field trip takes planning all year, but it is so worth it. While I hated being away from Ryan and my babies for 3 days, I love getting to spend time with my students in an awesome environment. I love seeing the students in a different light. The students who have the hardest time at school sitting at a desk all day thrive at Bradford Woods. This trip was especially important to me because it was my last one. I will truly miss this tradition, and I will truly miss my fellow teachers with whom I’ve gotten to share the experience. We had our sweet boy’s FIRST birthday party on Saturday! We had a “Wild One” lumberjack theme, and he had the BEST time. I will have a separate post with more details and pictures about the party soon! And just like that…it’s May! The coming months are going to be an absolute whirlwind for us, so hopefully I can keep up and remember to breathe and enjoy the ride! What a busy and exciting month of March we had! It was colder than we hoped, but that doesn’t seem so bad now that we will be moving to a warmer climate in a couple of months. As always, we were very busy this month with lots of exciting new beginnings. Kinsie’s school celebrated literacy month by doing a reading competition. We were given reading tickets, where we had to write down the titles of the books that we read with her. For every ticket we turned in, (10 books), the class would add a piece to their class caterpillar. As you already know, Kinsie LOVES to read…and so do Ryan and I. We already read with her all the time, so now we just had to keep track of what we read. Kinsie got very competitive with it (and I’ll admit, so did we). She wanted to read even more than usual to help her class win. Unfortunately, we didn’t win…the winning class blew everyone else out of the water…but we got 2nd place! I personally kept track of how many reading tickets we turned in, and it was 30. So we read around 300 books this month. Brax wanted to hear the story too! We didn’t get very fun nice weather this month, so when we did, we had to take advantage. Even if it was still 40 degrees and partly sunny…we would find something to do outside weather it was swinging or taking a walk. Kinsie started up a gymnastics class this month. She was in a “Mommy and me” class before she was 2, and she loved it. Once Brax was born, life got a little too crazy and we stopped the class. Now, she still has more energy than she knows what to do with and she is as clumsy as can be, so we figured a class to help burn energy and practice coordination couldn’t hurt. Now she is in the 3-4 year olds class, so we just watch from behind the glass. She is doing pretty well considering she’s been out of the game for a year now. She’s a fast learner and has fun doing it. Brax enjoys watching too! Spring soccer season has officially started! This season we are playing with a different league because we wanted to sign Kinsie up with a few of her cousins. She is on a team with her cousin Emery, and Kerigan. Ryan, my brother-in-law Ryan, and Ryan’s cousin’s husband Scott are the coaches. We’ve had 2 practices so far and they are certainly entertaining! Kinsie has made a lot of progress since the fall, so hopefully she was continue to improve throughout the season. Kinsie is especially pumped that her daddy is the coach and that she gets to play with her cousins! From my previous post, you have seen that on Match Day, we found out we are moving to Little Rock, Arkansas! I am nervous, but VERY excited for this new adventure. Match Day was a neat experience, where all of the 4th year IU med students all gathered together and opened their envelope at the exact same time. The room was full of a lot of joy, hugs, and excitement. The kids weren’t really sure what we going on, but they were excited too! Since I was on spring break for 2 weeks, we decided to take another trip to the Cincinnati Zoo, or as Kinsie calls it, the “hippo zoo.” It was just a 2 hour drive, and the kids had a blast. Brax barely napped all day, but he was a happy little camper. We spent a lot of time with the hippos, Kinsie’s favorite. Brax loved the lions and the train ride most. It was a great day! My beautiful cousin and one of my best friends, Sarah, got married this month! She married a fish farmer named Joe, and we love him. He took us on a tour of the fish farm last summer, which was a highlight of our summer. The wedding was quaint, simple, beautiful, classic and SO Sarah. They had the reception at the family farm. 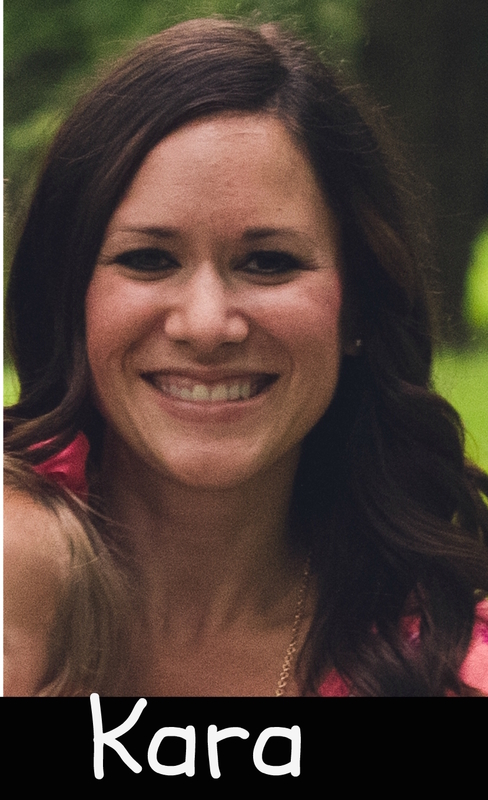 Sarah is very passionate about agriculture education and supporting her family’s farm. Her dad, (my uncle) passed away in 2009 in a farming accident, and she and her sister Katie have kept his passion for farming and agriculture alive. The wedding was beautiful and we all had a great time. Kinsie especially loved getting some extra cousin time, including her cousins from Philadelphia! Yes, you saw right. We already bought a house in Maumelle, Arkansas…it is about 20 minutes outside of Little Rock. While I was still on spring break, we went on a 3 day trip to go house hunting. And when I say “we,” I mean pretty much my entire family! We took a 12 passenger van and everyone (except for my sister’s husband and Brax…he can’t really handle long car rides yet) loaded up and drove the 8+ hours to Arkansas. The kids were rockstars and we had a VERY productive trip. We looked at 7 houses and there was no competition as to which one we wanted to be our home. We put an offer on it that day and found out later that evening that they accepted our offer! We LOVE the house, the yard, the 5 minute walk to the park (with a lake…where we can fish), and the community that we will be living in. Best of all – it was Kinsie-approved! It was a LONG trip but the kids did great! Another great month! The next few months will be our last in Indiana. We will be busy packing and soaking up as much time with our family and friends here as we can. Also, our little boy turns ONE in almost a month, so I’m going to excuse myself now to go cry in the corner! Ok, I’m finally to the point where I am ready. I mean, really ready. I’ve never been more ready to, of course meet my first son, but also to simply get this baby out of me!! My body is done. I hate to sound negative, but, like I said…I am physically, mentally, and emotionally ready! Luckily, I’m close…approximately 4 weeks left! I feel about how you would expect a 36 week pregnant lady to feel. Tired, uncomfortable, anxious…you name it! I’ve mentioned before that this pregnancy has been much harder on me physically than when I was pregnant with Kinsie, and that is true now more than ever. It hurts to walk, stand, bend, and even sit sometimes! My feet are swollen and I am out of breath after I do anything or nothing at all. I am SO lucky to have such helpful coworkers, students, family and husband to help me do the physical things that I just can’t do right now. This part is so hard for me, because I hate asking for help. I am terrible at delegating because I would rather just do things myself, but for the safety of myself and my baby, I have to ask for help more right now, and the people in my life are wonderful about it. Something else that started up this month is carpel-tunnel syndrome. I have had this problem before, but very sporadically and not at all when I was pregnant with Kinsie. It is SO bad right now. I sleep with a wrist brace on both wrists, and that gives minimal relief, but doing anything with my hands throughout the day is insanely painful and difficult. I am praying that this subsides soon after delivery, because as a teacher, mom, and human…it is difficult to not use my hands much throughout the day! Size: This (not so) little guy should be about 6 pounds and 20 inches long. I am super anxious to find out big he’ll be at birth because Kinsie was only 6 lbs. 10 oz. and I feel that this baby boy is much bigger, but I don’t know how big a baby can really get when I have such a short torso and don’t have much room for growth! Movement: My boy is still as wild as ever. The baby apps say that the baby has less room to move at this point, so their movements are usually not as intense as before…but not this kid. He makes room for big movements. He stretches my uterus beyond its natural abilities and he kicks me so hard I feel like my hips will snap. He pretty much moves all day long, but he has two times in the day when he is extra wild…usually around 4 or 5 pm, then again around 10pm. Ryan gets a kick (haha, get it?) out of feeling him move, and he likes to guess where each body part is as he’s moving…typical med student! Name: We have finally settled on a name! But you won’t find out until the big day 🙂 The only clue you get now is that it starts with a B (as you’ll see in the nursery pictures below). Sprinkles: A few weeks ago, my life group had a baby “sprinkle” for me at one of my favorite restaurants, Charbonos. They bought diapers and gifts for our boy, and dessert for me and Ryan! Our life group has been together for almost 3 years now, and together in that time we have had 6 babies, and this baby will be the 7th! I love spending time with such wonderful people and it is awesome to see our little life group family grow. My staff also had a sprinkle for me at work last week. They hooked me up with tons of diapers and wipes, and made breakfast and treats. They have taken such good care of me throughout this pregnancy, and are always going out of their way to help me with anything I need and being accommodating to doctor appointments, etc. I absolutely LOVE the people I work with! I had a nice 2 week spring break and got to spend so much quality time with Kinsie. She and I both needed that, and I really soaked up my time with her because that was our last break of school with just the two of us. We had to just hang out at home more than I wanted because I didn’t have the physical capabilities to go out and do much, but Kinsie didn’t seem to mind. Every once in a while we would venture out a bit by going to the park or the library, but that was pretty much the extent. Either way, she was happy to have her mama home and I was happy to be home with her. 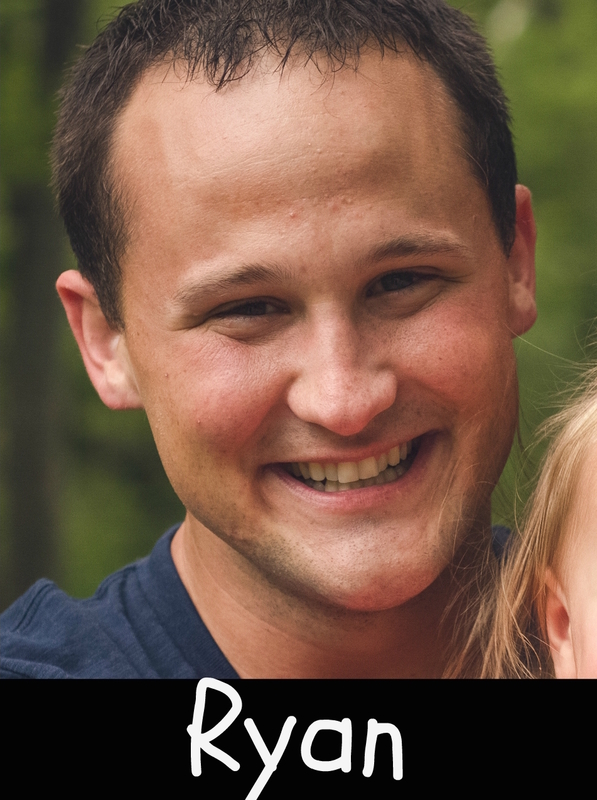 Ryan finished his internal medicine rotation and started his Pysch rotation with much better hours and weekends off. We have definitely taken advantage of having him around more. A few weekends ago, we took a family trip to the zoo, and even though it was windy and cold, the crowds were minimal and the animals were active, so we had a lot of fun! I really wanted the chance to take Kinsie to the zoo one more time before the baby came, but I knew I would have a hard time taking her myself, so with Ryan there, I was able to take more breaks and not have to handle my wild toddler alone! Kinsie started soccer class a couple weeks ago. She has been excited about starting soccer for several months now, and she loves running around the house practicing with her daddy. So far, she’s done pretty well when she’s in the mood to participate! Sometimes she’s not as into the other drills and games, but she could just run around and kick a soccer ball all day long! We’ve had some odd April weather, but last weekend was finally beautiful! We took the opportunity to spend the weekend at one of our favorite places, the lake! A few weeks ago, we let Kinsie pick out her own fishing pole, and she picked a Ninja Turtles one. Ryan’s been teaching her how to cast and reel, and practicing with her at home. She was pumped to try it out on her own once we got to the lake. She did awesome! She cast her pole out on her own, waited as patiently as a 2 year old can wait, then once she was getting a bite, she reeled it in by herself about 90% of the way, then once she saw the fish getting closer, she kind of freaked out and needed daddy’s help reeling it in the rest of the way. She was SO proud of her first catch, and of course we were too! We had an awesome weekend of fishing and relaxing with Ryan’s family! So now here we are. Just getting through each day, waiting for the day that our little boy will officially join our family. 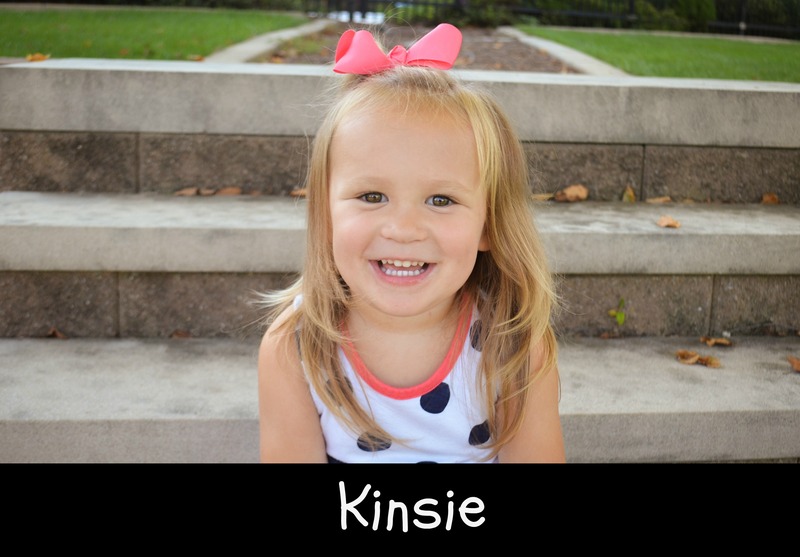 I’m still a little anxious on how Kinsie will handle the transition, but I know she will be an awesome big sister. Keep us in your prayers over the next few weeks as we await our sweet little boy!